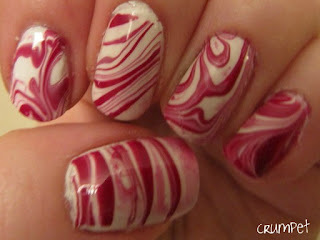 So, this week’s challenge over at PAA was Candy Coma which meant I had a chance to remedy the Italian hallucination-ness that was my original candy cane mani for the Purple Crumpet Fairy Christmas Challenge. 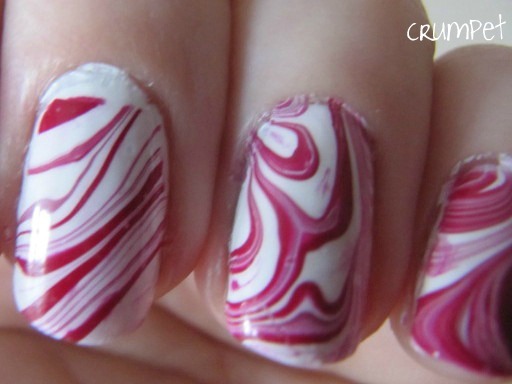 For whatever reason – laziness probably – I was still resisiting stripes, so I when I saw this Candy Cane water marble from Goddess Colette, I thought all my prayers were answered. Yeh. There’s a reason she has a gazillion followers and I don’t lol – she can do it!!! It looked soooooo simple, but as ever, this water marble didn’t end up *quite* how I intended. 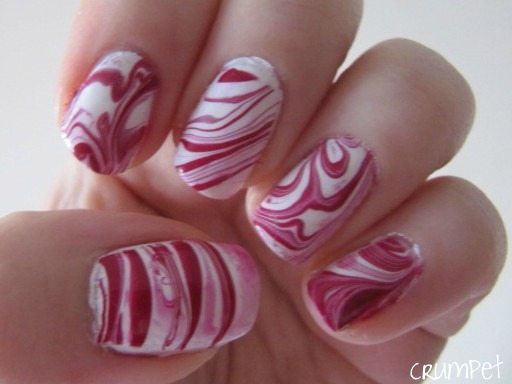 The trick with this marble is to make 1 line across the centre, and then bisect it in stripes. My problems were that after so many stripes, the whole pattern decided to drag itself with me, hence the messes of the index and ring fingers. The thumb is closest to what Colette had in mind, and basically I went downhill from there lol. I do like the middle finger as this has the best colour definition, and I also like the pinkie, though it shouldn’t be in this mani (how come I never get this pattern when I try to make this pattern lol). 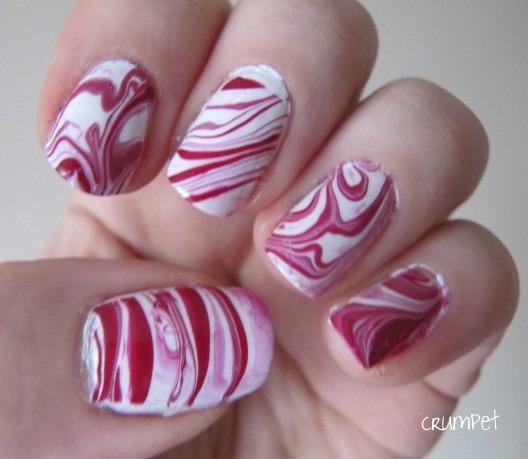 The hardest part of marbling with red is to find one that doesn’t just dilute itself in the water and end up a horrible pink. Luckily I have tried to marble with reds before so knew which ones to avoid. 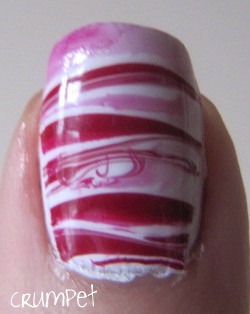 I ended up using Barry M Raspberry and CG Snow as my white and my base colour. And yes …. 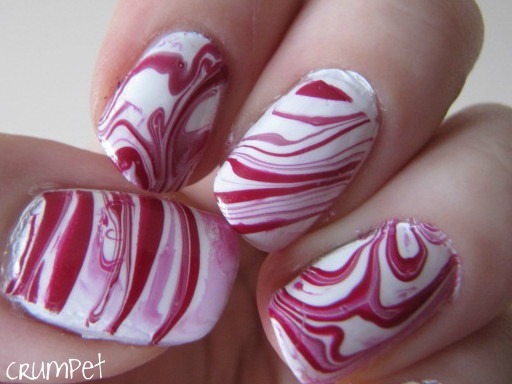 Next year I’ll do a tape mani …….